Building your own museum is very easy - and you’ll need only 2 things. 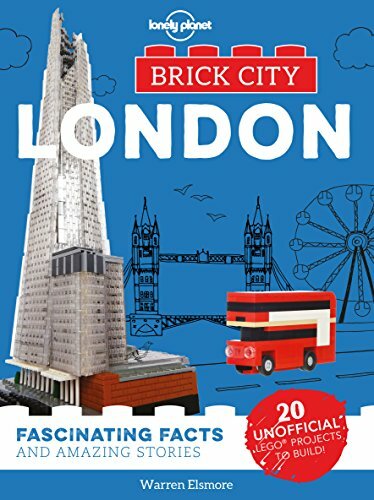 First, you’ll need a copy of ‘Brick City London’. You’ll find the instructions and a list of parts needed within the book. You can buy this inside the British Museum shop, in all good book shops - or online. Second, you’ll need the LEGO parts. If you’ve got a good LEGO collection at home, then you might be ready to go! I’ve tried to use fairly common parts that you might already have. Of course, it’s not essential to follow my instructions either! Feel free to use the parts that you already have to build your British Museum. If you don’t have the parts already, or you’d like to make someone else do all the work, I’ve partnered with MOCHub to let you buy all the pieces in one go! Just follow the link below to buy your British Museum kit of parts. Remember that you’ll still need the instructions though, so make sure to buy the book! Please Note: MOCHub select and ship these parts directly to you and Warren Elsmore can’t help you with an enquiries you have about the parts. If you have any queries, please contact MOCHub directly.